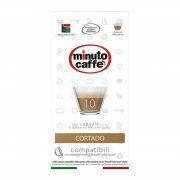 Our Costarica is the real “mild” Central American 100% arabica coffee. 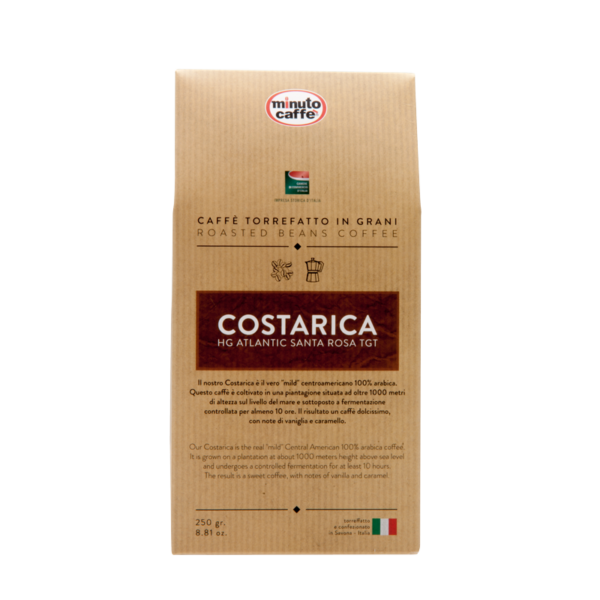 It is grown on a plantation at about 1000 meters height above sea level and undergoes a controlled fermentation for at least 10 hours. 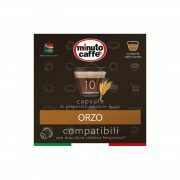 The result is a sweet coffee, with notes of vanilla and caramel. 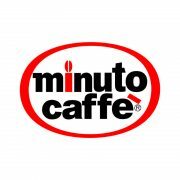 Each bag contains 250 grams of coffee. 8 bags per bundle. 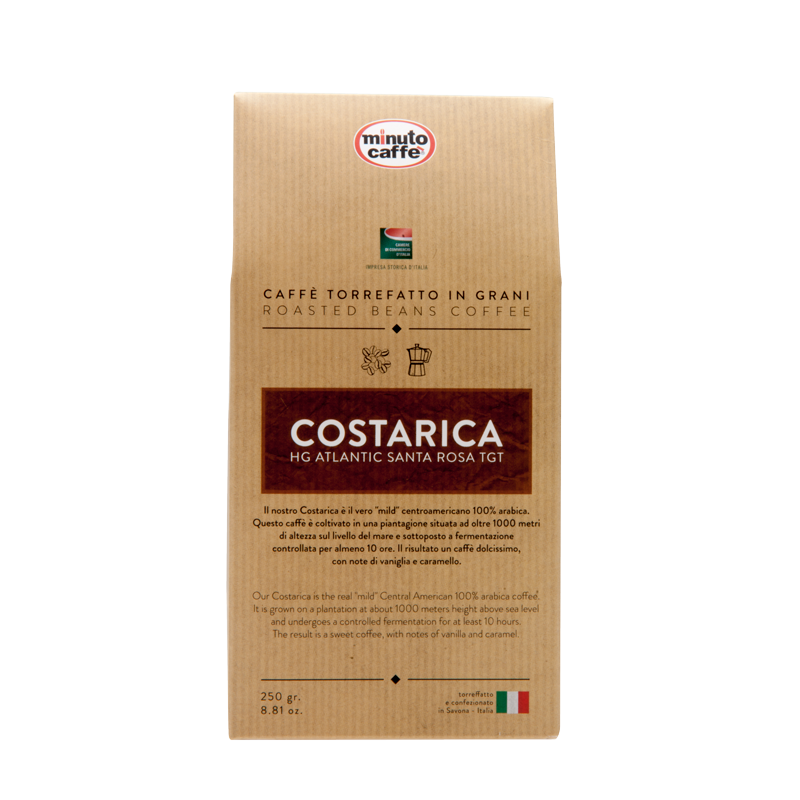 48 bags per carton box. 12 months of shelf life. 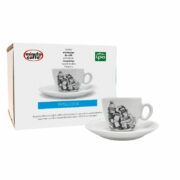 SKU: 03376. 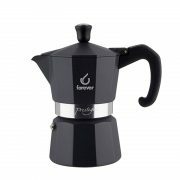 Category: Coffee for moka brewers. 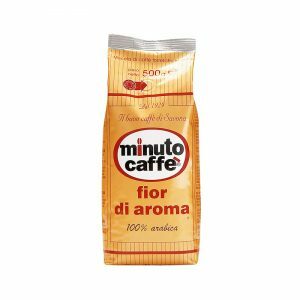 FIOR DI AROMA ROASTED BEANS COFFEE – 500 gr. 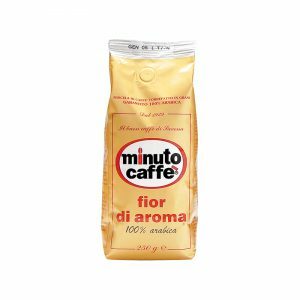 FIOR DI AROMA ROASTED GROUND COFFEE – 250 gr. 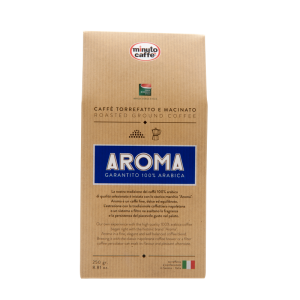 AROMA BLU ROASTED GROUND COFFEE – 250 gr. 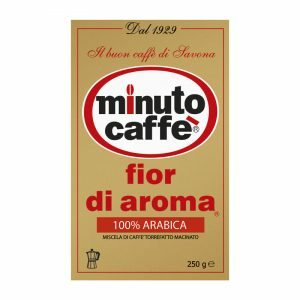 FIOR DI AROMA ROASTED BEANS COFFEE – 250 gr.